make it perfect: .Hello Blog. I'm back! Last week I took an unplanned leave from the blog. I was having one of those "too much to do, too little time" weeks and decided to leave blogging out of the agenda for a bit. Good news is that I managed to wipe a lot of jobs off my "to do" list...it isn't clear (I don't think it ever will be) but at least it is a little less daunting now!! Today I managed to get some sewing done and have worked out a new project for a fun tutorial...will be posting it later on this week. 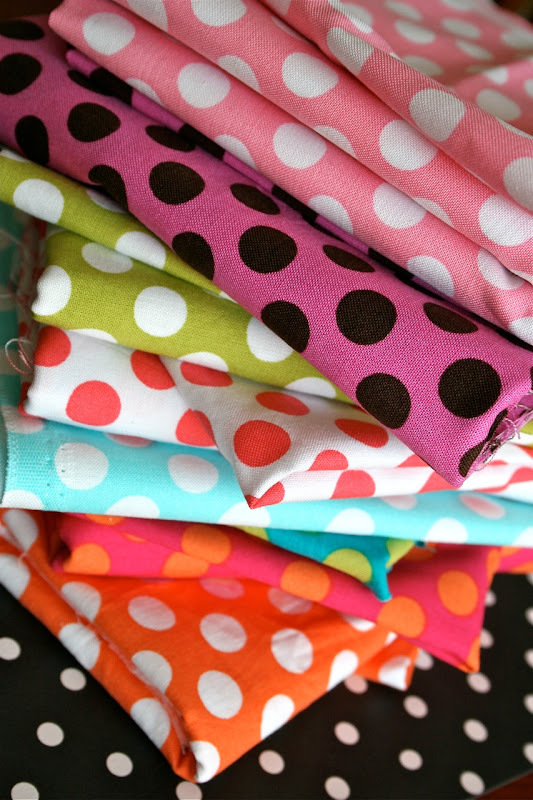 Those are the cutest fabrics ever! Love it! It must feel good to whittle down the to do list. Every time I do that I just think of ten more projects I want to start. I'm looking forward to your tutorial. I do love those dots. I think there is a Michael Miller Ta Dot for every occasion - I too am a fan!